Info- The Komodo National Park is the truly one of the most intriguing destinations on the planet. The last stronghold of the Komodo dragon, this incredible island group is literally exploding with activity from some of the best macro dives in the world to its spectacular active volcanoes! Not to be outdone, the reef manta rays come out in force in Komodo, with monster aggregations of up to 80 individuals seen at feeding sites like Karang Makassar in the north. This is one of my favorite places to study reef mantas as Komodo boasts a hotbed of activity from cleaning and feeding to courtship and mating! 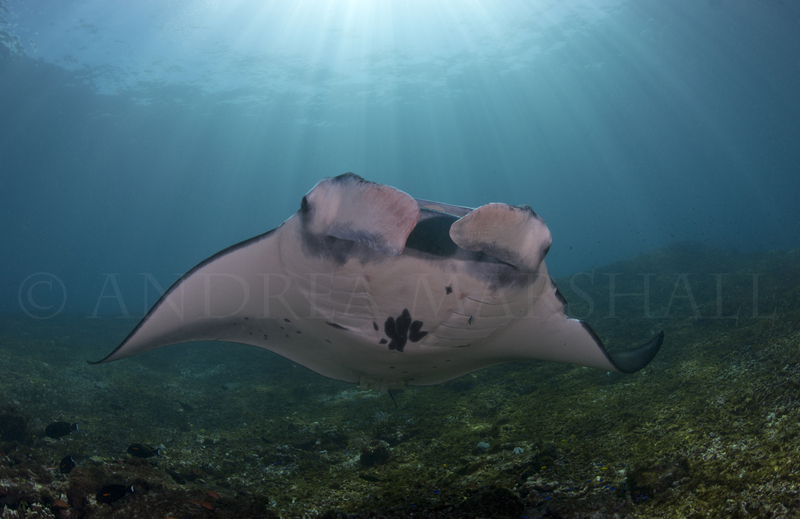 Pregnant manta rays are also regularly seen in the park! What more could a girl want?